Sign up starts at 8:30 and the match starts at 9:00 A.M. This match is a rim fire shoot. 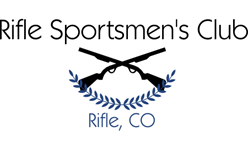 Only 22lr, 22mag, 17hmr, and 17 mach 2 can be used. Targets will vary in size from walnuts to an 8" pie plate. Target distance will vary from 10 yards to 400 yards. Bring at least 300 rounds of ammo, if not more. Kids are welcome to shoot in this match. Match will be held from the lower shooting benches. Cost is $20.00 per shooter. Questions, contact Shawn at 970-309-9772. NOTE: Range is CLOSED due to safety reasons.